My friends, do you ever wonder if you're doing the right thing, if your faith is in vain, if God is either absent or non-existent, if placing your trust in Him would be a foolish thing to do? If so, then spend a week or so at the studios of EWTN in Birmingham, as my actors and I are doing this week. This network was begun by a spunky nun with $300 in her pocket and nothing but faith in God. Deacon Bill tells me that it costs over $3 million a month to run the network, and that this money is never there when the month begins. 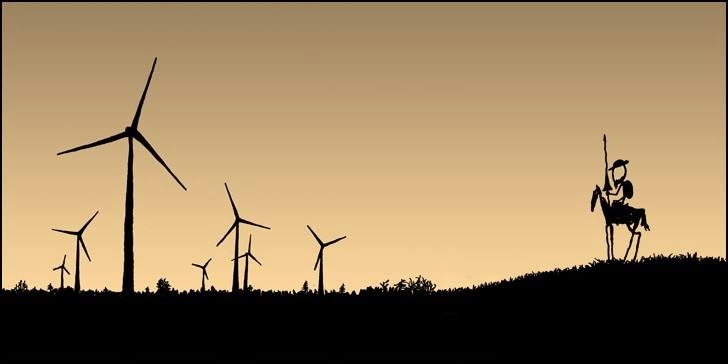 It comes from donors, and it runs a 320 employee operation that reaches over 200 million homes worldwide - an operation that in true Franciscan spirit, relies entirely on God's providence. It is an utter trust in God that has made this place work. A trust that God will do something that from the outside seems impossible, that if it were something done by men alone and for men alone would be vain and merely self-serving. But since this is done for the sake of God, in a spirit of love and sacrifice, it all works - and everyone you meet at these studios is there for reasons beyond himself, and every other one has a miracle that he's experienced or witnessed; and this place makes you say - "How these Christians love one another!" This is how the Church should be. Not to mention that EWTN has been the bulwark against the decay that has spread in modern religion, the false doctrine of Christ without the Cross, the dreadful message of vacuity and despair and self-congratulatory narcissim that is all around us, in the very air we breathe. But also in that same air are the beams of truth sent from where I now am in Irondale worldwide, the beams of the satellite feed that feed our faltering faith. So we all know from the above post that Kevin's going to be on live nation-wide TV Wednesday night. But what's Kevin doing at EWTN in the first place? 1. INTRO EPISODE - Kevin speaks about his career and how acting helped him to discover the Holy Spirit working in his life. Kevin also interviews Lola Falana, Fr. John Hogan, and a number of the actors who will be featured in the series. 2. 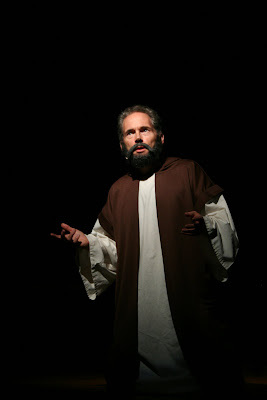 THE JOURNEY OF ST. PAUL - Kevin and his cast perform a dramatic adaptation of the life of the Apostle to the Gentiles. 3. ALESSANDRO - Jeremy Stanbary performs his one-man show on the conversion of the man who murdered St. Maria Goretti. 4. THE MORNING STAR PLAYERS - Mary LaHood and Elizabeth Bauer perform their two one-act plays "Sarah's Secret" and "Rachel - Lost and Found". 5. 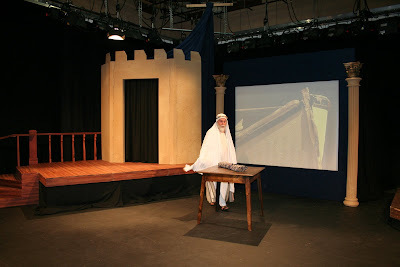 THE BIBLICAL TRILOGY I - KING DAVID - Kevin stars as the hero of the Old Testament. 6. 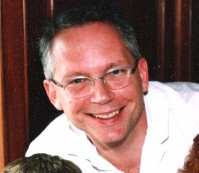 THE BIBLICAL TRILOGY II - THE GOSPEL ACCORDING TO MARK - Richard Garey performs the life and ministry of Jesus Christ. 7. THE BIBLICAL TRILOGY III - THE PASSION NARRATIVE - Kevin's one-man show, taken from the four Gospel accounts of the Passion and Resurrection. 8. THE HONOR OF ISRAEL GOW - Kevin stars as Father Brown, G K Chesterton's crime-solving cleric, in this chilling mystery. 9. OLD THUNDER - AN EVENING WITH HILAIRE BELLOC - Kevin's one-man show as the bombastic and unforgetable writer who thunders across the screen. 10. LOLEK I - Jeremy Stanbary as the young John Paul II. 11. LOLEK II - Part Two of Jeremy's one-man play on the life of John Paul II. 12. A MORNING STAR CHRISTMAS - This episode features Kevin playing a dozen different characters in "Who Killed Christmas" and Mary LaHood and Elizabeth Bauer presenting Kevin's play "Making Room - the Story of the Innkeeper's Wife". 13. AT THE (EWTN-MADE-FOR-TV) MOVIES - In the conclusion to our first season, Kevin O'Brien and Dale Ahlquist critique the TV adaptation of Chesterton's "The Surprise". And Kevin interviews himself (dressed in a chicken suit). Sounds like a great series, right? Can't wait to watch, right? Want to know when it's on??? Well, stay tuned. 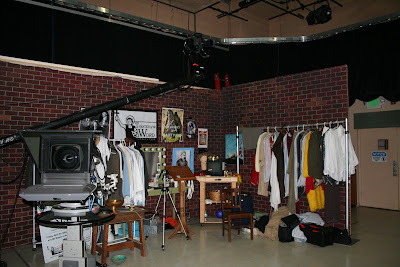 THE THEATER OF THE WORD INCORPORATED is expected to air September of 2009. That's a ways off, but in the meantime ... don't touch that dial! 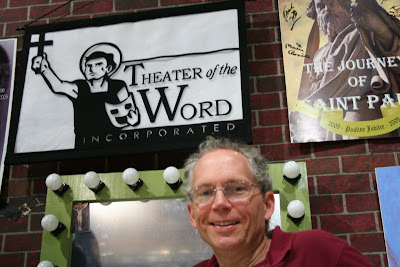 Kevin O'Brien, founder and creative director of the Theater of the Word Incorporated, will be interviewed by Father Mitch Pacwa on "EWTN Live" on Wednesday, May 21 at 7:00 pm Central, 8:00 pm Eastern & Pacific. 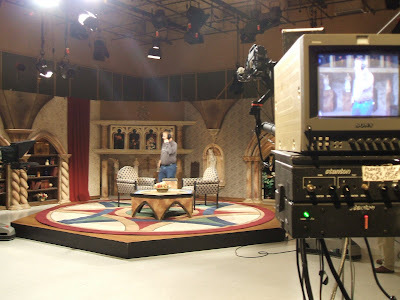 "EWTN Live" is the Eternal Word Television Network's most popular show. Hosted by Father Mitch Pacwa, the hour-long program will feature an in-depth interview with Kevin on his career, the interplay between faith and the performing arts, and on the shows that are being offered by the Theater of the Word. Kevin will also field live calls from viewers and questions from the studio audience. Be sure to watch this Wedensday, May 21 at 8 Eastern, 7 Central! Or click here for more info. The show is repeated on Thursday at 1 am Eastern / midnight Central (late Wed. night); also on Thursday at 9 am Eastern / 8 am Central & on Sunday, May 25 at 4 am Eastern / 3 am Central.